On May 3, Utah Transit Authority will begin operating three new community “flex” routes in northern Utah County, southwest Salt Lake County, and west Weber/north Davis counties. The routes will bring new all-day service to areas that previously had no service or had only morning/evening commuter buses. Funding for the routes comes from Federal Transit Administration grants administered through the Utah Department of Transportation. The new routes are called flex routes because they run a regularly scheduled route through the community, but also have the ability to deviate up to 3/4 mile off of the regular fixed route for just $1 more than standard fare. Customers can call to schedule a deviation up to two hours prior to the trip. The new routes operate using a smaller shuttle-style van, which is less expensive to operate than a full-size bus, but still has room to carry the potential number of riders on the routes. UTA currently operates flex routes in Brigham City, Draper, Sandy, Riverton, Tooele and Grantsville. For more information, go to www.rideuta.com. Established in 1970, UTA has become a multi-modal transportation leader that is 100 percent accessible with 69 light rail vehicles, 35 commuter rail cars and more than 600 buses. UTA’s TRAX light rail system is currently averaging more than 40,000 riders a day along its 15-mile Salt Lake-Sandy line and the 4-mile University Line. UTA is an ISO 14001:2004 9001:2000 certified agency. During the 2002 Winter Olympic Games, UTA’s transit system was declared a great success on the international scene - carrying more than four million Olympic riders. Today at the regular monthly meeting of the UTA board of trustees, the UTA board unanimously passed a resolution approving the appointments of John Inglish as chief executive officer, Michael Allegra as general manager, and Bruce Jones as general council and president of government resources. Prior to discussion on the resolution, UTA Board Chair Larry Ellertson shared a statement addressing the process and the appointments. Mr. Ellertson’s statement is attached. Also during the board meeting, acting general manager Michael Allegra discussed the 2010 budget situation. He described the actions the agency has already taken to address the reduced sales tax revenues resulting from the recession and additional steps that may be taken in the future. A summary of his budget update is also attached. Both of these documents were shared with the public and media who attended board meeting. They have also been posted to the UTA website. If you have any questions or would like more information, please contact me at your convenience. revenues. Government entities have been forced to cut back here in Utah and across the country. program, now more than 50% complete, is ahead of schedule and under budget. years, anticipated sales tax revenues have dropped by almost $40 million. 2015 and upwards of $2-3 billion lost over 30 years. efficiencies, 2) employee compensation and staffing, and 3) service and/or fare adjustments. $8 million in identified and $3.0 million in “unidentified savings,” for a total reduction of $11 million. identified and have already been implemented; others are being implemented at this time. - Wage Freeze: no pay increases in 2010. - Retirement: UTA’s contribution to employees’ deferred compensation retirement cut by 50%. structure and staffing efficiency review we have been conducting with an external consultant. are not providing more specifics at this time out of respect for the employees who will be affected. * UTA employees at all levels have shouldered much of the burden through the economic downturn. These measures represent a notable decrease in employees’ take home pay and compensation. - Hiring Freeze: More than 70 positions have been eliminated through vacancies/attrition to date. impacts to riders as much as possible. programs to implement seven new flexible bus routes throughout UTA’s service area. we suggest that a budget amendment at this time would be premature. throughout 2010 that may include fare increases and/or additional service reductions. critical to accessibility, sustainability and quality of life in Utah. responsibilities, it does NOT represent salary increases or promotions. when they are taking on additional job responsibilities. believes it is sound in its approach and will place UTA in a better position for the future. to serve UTA and the Board in his role as CEO, focusing on policy-level initiatives and programs. this transition with the stipulation that it be without any addition of staff or salary increases. 1) Thank you, Bill Lindley for allowing me to “borrow” This Week at Amtrak for this special edition. This is Bruce Richardson, and I have a special announcement to make. 2) I’ve been waiting for over a year to write this column, and I’m immensely excited about what I have to tell you. Today, April 27, 2010, a new, privately funded and privately operated intercity passenger train is being announced, slated to begin operations during the Christmas season of 2011. The name of the train is “Z-Train,” and it will operate six days a week on a regular schedule between Los Angeles Union Station and Las Vegas, Nevada, with an intermediate stop in Ontario, California. Initially, the train will be 14 cars long, made up of a combination of bi-levels and dome cars. 3) Some of you reading this may think this is old news; that you heard about the Las Vegas train 10 days ago. That was the X Train of Las Vegas Railway Express; this is the Z-Train. It’s a bit of a sordid story about how two trains came about. Z-Train has been in continuous, active development since 2007. When I was first contacted about Z-Train in March 2009, before I could have more than a cursory telephone conversation with Romm Doulton, the Las Vegas entrepreneur of D2 Holdings who created Z-Train, I had to sign a lengthy and complicated non-compete, non-disclosure legal document. Everyone even marginally involved with the project has signed the identical document for the protection of the project. Earlier, in 2008, before I became involved with the project, a local gentleman in Las Vegas was briefly part of the development team. He invited a second gentleman to learn about the development group; both of these people signed the same non-compete, non-disclosure document. Neither gentleman was related to the project very long; in fact, the second gentleman only had a cursory involvement as part of Z-Train’s development team. But, it appears they took with them all of the team’s proprietary plans and documents which had been created up to that point in 2008. Since then, plans for Z-Train have matured and changed dramatically, as is often in the case of projects like this, as new people with new or better ideas join development teams. In July 2009, in my United Rail Passenger Alliance e-mail box, I received an invitation from the X Train people to review their project and give them any advice I may want to offer. I immediately contacted Z-Train, since by then I had developed a full relationship with them, and alerted the development team about a rival project. Instantly, the Z-Train team knew what was going on; it seemed their own, privately held materials were being used by someone else and represented as their own property, instead of the sole property of the Z-Train developers. A cease and desist demand was made by Z-Train to X Train. Nothing happened, and in the past 30 days various press releases have been popping up about X Train, all amazingly similar to Z-Train ideas, plans, and materials from 2008. Well, with two big exceptions. The Z-Train developers know it is impossible to have onboard, legal gambling, yet X Train says it will have gaming onboard. And, X Train says it will offer a $99 roundtrip fare, which is pretty close to impossible to do if you’re going to be financially viable. 4) There had been no plans to fully announce Z-Train until every detail was fully developed and every business relationship established. But, then came X Train; a decision had to be made to protect the interests of Z-Train, so a public announcement – even though a bit early probably by about a month – would be made. That’s what we’re doing today; Z-Train is seeing the first light of day in TWA. All that out of the way; you would probably like some details about Z-Train. Here is some information for you from the Z-Train fact sheet which is part of the detail being sent to the news media today. • Z-Train is expected to begin operations for the Christmas season in 2011. • Plans are for the train to be pulled by Amtrak locomotives, and Amtrak will also provide train and engine crews, as well as all equipment maintenance at its Los Angeles maintenance base. • Onboard services crews will be direct Z-Train employees. • The route encompasses trackage rights to be provided by Metrolink in Southern California, Burlington Northern Santa Fe Railway, and primarily Union Pacific Railroad. • Los Angeles Union Station, owned by Catellus Development Corporation will be the Southern California terminal, and a new Z-Train station will be built in Las Vegas adjacent to the famous Las Vegas Strip, the heart of the hotels, resorts, and casinos in Las Vegas. 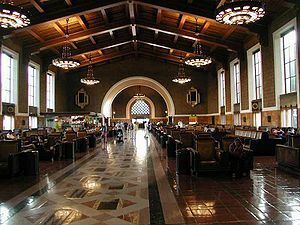 • Trip time is planned for five hours in each direction, with a single intermediate station stop in Ontario, California. The train will be turned and cleaned in Las Vegas for a same-day return to Los Angeles, where maintenance will be performed overnight. • Z-Train will be America’s only regularly scheduled, non-government subsidized intercity passenger service between two major metropolitan areas, where anyone can purchase a ticket for transportation; operating full roundtrips six days a week. • The train will operate Wednesdays through Mondays, with Tuesdays planned as a full maintenance day. • Z-Train has been developed to meet the rigid requirements of host railroads and federal transportation statutes, including any necessary construction of additional railroad passing sidings or other necessary upgrades to host passenger trains. Every facet of Z-Train has been created to work in harmony with pending agreements with host railroads and operating crew and motive power providers. • Z-Train is beyond just traveling from one city to another; it’s a transportation, dining, pampering and entertainment experience designed to rekindle the great American slogan, “getting there is half the fun!”. • Z-Train is the only passenger rail project which will run directly from downtown Los Angeles/Los Angeles Union Station to the heart of the Las Vegas Strip and Z-Train’s proposed, newly-built passenger train station, and is the only passenger rail project which will directly connect to all other passenger rail routes in Southern California. • All Z-Train passenger railcars will be rebuilt and redesigned equipment from America’s most prominent passenger railcar builders, designed originally for some of America’s most luxurious passenger trains. The upgrades and modifications made by Z-Train will meet every need and desire of modern travelers from new technologies to comfortable, plush seating. • Z-Train offers four levels of accommodations and services, all aimed at up-market travelers, especially international travelers from the lucrative Asian market. • Food and beverage and onboard pampering and entertainment will be areas of major emphasis, with dining and lounge cars to meet every expectation and requirement for all age groups. • Almost half of the passenger space is devoted to coach passengers, although coach passengers will have amenities and services available to them not normally found elsewhere. • Additional classes of service are club, business, and first class premium cars, all of which have their own discrete, expanded levels of service. • The most distinctive level of service will occur in private dome cars, each not holding more than 25 passengers per car. This unparalleled level of luxury will rival any private jet experience, appealing to the most discriminating passengers. • Four separate dining cars run the choices from high end gourmet to an all-organic, healthy living dining car choice to a dedicated sports car, complete with micro brewery and comfort food buffet. • Onboard services are unique, with a company of repertory players providing live entertainment, a murder on a train mystery, fortune tellers, fashions shows provided by one of the most distinctive fashion retailers, art gallery offerings, spa services, and book signings by best selling authors. • Created by professional railroaders in the best traditions of the passenger railroad industry, combining successful historical values with today’s passenger and operating environment. • Z-Train has been developed by a professional team working since 2007 to provide an exciting passenger rail experience between Los Angeles/Southern California and Las Vegas. Weeks, months, and years have been spent in deep research of every aspect of the market, jobs growth, and economic development for Z-Train to be an economic engine for tourism and in support of Las Vegas. Government officials on every level have been consulted, in addition to professional railroaders, hospitality and gaming industry luminaries, and marketing experts. Every facet of Z-Train has been developed with one overall goal in mind: to provide America’s unrivaled premier intercity passenger train experience. • D2 Holdings is headquartered in Henderson, Nevada and controlled by Romm and Elaine Doulton and James K. Clark. D2 is a well-established company with a wide variety of interests. For further information, consult www.d2holdings.net. D2 provided the company umbrella for the Z-Train development team to come together and create the project before it was formally incorporated. • Z-Train Limited, LLC is a Nevada corporation, headquartered in Henderson, Nevada (A Las Vegas suburb). • Romm Doulton, creator of Z-Train, currently serves as the company’s Chairman, President, and CEO while a search process is being completed to find other individuals to hold those offices. Mr. Doulton will continue to serve as a Chief Executive Officer of the company, but the other positions will be filled by individuals with a strong financial and railroad industry background. • Z-Train has been developed using sound, conservative financial principles. • Over $500,000 worth of time, materials, and funds spent have been put into the creation and development of Z-Train. • Everyone associated with the development of Z-Train has been a senior executive in their respective fields. • Z-Train as a company has been designed as an organization which will have a number of strategic alliances with corporate partners for cross marketing and branding purposes. • Z-Train will be marketed on three levels: regional, national, and international. • Regional marketing will reach Southern California, providing a travel choice beyond private automobiles, busses, and air travel to bring new visitors to Las Vegas. • National marketing will promote both Z-Train and partner casinos and resorts and the city of Las Vegas. • International marketing, aimed heavily at the lucrative Asian market, will provide a familiar travel choice to the 4.4 million Asian visitors who arrive in Los Angeles, of which 32% currently travel onward to Las Vegas via bus and airplane. Asians are currently the single most profitable demographic for visitors to Las Vegas, followed by Southern Californians. 5) That’s pretty much everything in a summary; if you want more information, you can visit Z-Train’s web site as it is being developed at www.z-trainltd.com or to find out more about the creators of Z-Train, visit www.d2holdings.net for a fascinating background on Romm and Elaine Doulton, Z-Train’s parents. 6) And, yes, this native of the Commonwealth of Virginia, and 42 year resident of Florida, who has never lived more than 100 miles (and, currently less than 20 miles) from the Atlantic Ocean is about to relocate to Las Vegas and Southern California to be a part of Z-Train as the Chief Special Projects Officer, where dreaming of the future is encouraged, and all sorts of interesting projects about present and future passenger trains await. A permanent move west will not be happening for a while, but there will be lots of airplane time between Jacksonville, Florida and Las Vegas and Los Angeles. There will be some wonderful people from Amtrak and elsewhere working and helping create Z-Train, and it’s exciting to be a part of the re-invention of the modern intercity passenger train. 7) Make you plans now to ride Z-Train in 2012; you will be glad you did. Below is the FrontRunner South construction update April 24 – 30. Please visit UTA’s FrontRunner South Webpage to learn more about the project. Visit www.flickr.com/rideuta to view exclusive FrontRunner South construction photos. Crews will continue to install temporary shoring for the north abutment of the 3300 South bridge and also begin installing it on the south abutment. Work on a water line in the area will continue this week and crews will also be working on power utilities. Embankment work will take place south of 3300 South. There will be shoulder closures on westbound and eastbound 3300 South between I-15 and 500 West all week. Please note that Central Avenue has reopened until crews resume work on the bridge walls. Crews will continue work on a power pole at 4800 South and on the south abutment at the 5300 South bridge. Crews will continue to work on slope paving and pipe restoration at the I-215 westbound bridge and they will also be restoring a concrete barrier on the freeway near the bridge on Friday night and Saturday. Crews will set girders at the 7200 South bridge on Tuesday night and work on the handrail and deck plate for the rest of the week. Crews will also be restoring the median on 7200 South on Friday night and Saturday. Surcharge placement on the Wasatch Street bridge will continue this week. · Friday night, April 30, 10:00 p.m. – 5:00 a.m., the right lane and the left lane of the I-15. 7200 South will be closed to all traffic between 400 West and 700 West from 9:00 p.m. on Tuesday, April 27 through 5:00 a.m. on Wednesday, April 28. From Friday, April 30 at 9:00 p.m. until Saturday, May 1 at 5:00 a.m., there will be eastbound and westbound left lane closures. Work on the platform stem walls will take place at the station site. Excavation for a retaining wall will continue this week between 9000 South and 9400 South and crews will also be relocating two fire hydrants. Work on the north approach walls continues at the flyover bridge. Crews will also conduct some finish work activities on the bridge, remove surcharge, and, between 9400 South and 10000 South, finish the sub grade. Between 114000 South and 123000 South Clearing and grubbing and sub grade balance work will take place, and also work on relocating power. At the Bangerter Highway bridge crews will install shoring at the south abutments and one of the piers, continue work on another of the pier’s footings, and form, tie rebar and pour concrete for one of the north abutments back walls. There will be truck traffic with flaggers on 9400 South Monday through Friday. At 10000 South there will be truck traffic with flaggers Monday through Friday. Crews will continue placing surcharge at the 146th South bridge and place sub ballast and hydro seed south of the bridge. Fiber work will also take place south of the 146th South bridge. At the Jordan River bridge crews will retrofit a ballast wall. At the 2300 West bridge crews will work on the abutment footings, and at the 2100 North bridge crews will excavate for pier #5 and work on a cap for pier #4. They will also install an inclinometer at the bridge. Retaining wall work continues in Cranberry Farms and at 1500 North. Further south, crews will install barb wire fence between 1500 North and 1220 North, work on the embankment between 1220 North and 900 North, install reinforced concrete pipe between 900 North and 500 West and install water utilities between 300 South and Center Street. There will be truck traffic with flaggers at the south end of Garden Drive on Monday and Wednesday. Crews will be loading out stock pile near the Park and Ride Lot and demolishing a siding near the pedestrian tunnel. Northwest of the American Fork Park and Ride Lot irrigation relocations will continue this week. Crews will also be clearing and grubbing the corridor in this area. Between Storrs Avenue and 100 West crews will fill a ditch, and between 400 North in Vineyard and Geneva Road in Orem, crews will install pipe and work on the embankment and sub grade. There will be truck traffic with flaggers on Geneva Road in Orem, just north of 400 South, Monday through Friday. Crews will install a catch basin, irrigation and landscaping in the Park and Ride Lot. They will also be working on white paving and curbs and gutters. Crews will proof electrical conduit at the Orem Station. Significant progress has been made in Area 10 along the Union Pacific Railroad corridor between University Parkway in Orem and Freedom Boulevard in Provo. Crews have prepared a path for FrontRunner by grading and clearing the right-of-way and relocating water lines. Drainage and irrigation installations are generally complete in this area, and main line earthwork has been finalized from University Parkway to 2000 South in Orem and from the Provo River bridge to 500 West in Provo. At-grade crossing improvements have also been completed at 900 West, 700 West, 500 West and Freedom Boulevard. Crews will continue work on the soil nail wall near University Parkway in Orem and repair fencing between the crossing on 2800 West and 1680 North in Provo. Crossing work will take place at 1680 North all week and will include signal and track work, the installation of concrete medians and signs, and road asphalting and striping. Between I-15 and 820 North, crews will install reinforced concrete pipe and at the 820 North crossing crews will install a signal house. From 820 North to the Provo River bridge, crews will place sub ballast and ballast and install barb wire fence. They will also distribute ties and construct track in this section of the corridor. Between the Provo River bridge and Center Street, crews will hydro seed, place sub ballast and ballast and distribute ties. They will also finish striping and median work at the Draper Lane crossing. Between 700 West and 600 West, crews will finish sub grade prep and stabilization, place sub ballast and distribute rail, and from 600 West to University Avenue crews will work on duct bank. The crossing on 1680 North will be closed all week for crossing upgrade work. There will be truck traffic with flaggers at 820 North in Provo Monday through Friday. There will be truck traffic with flagger at 500 West in Provo all week. Crews will proof electrical conduit at the station site. Construction progress continues on the West Valley TRAX Line. To keep business and traffic impacts to a minimum, this five-mile project has been separated into seven construction “reaches,” or segments, for management and planning purposes. The map below shows each construction reach in a different color, starting with Reach 1 in light green on the south end of the project and ending with Reach 7 in dark green on the east end of the project. Reach Description: Reach 1 is the area along Constitution Boulevard (2700 West) from West Valley City Hall at 3600 South extending north to 3100 South. This area includes both large and small businesses, as well as many residents. Access to all businesses and residences will be maintained throughout construction. · Overhead electric poles are being installed near West Valley City Hall and Constitution Boulevard. · Crews continue concrete work on ramps, steps, sidewalks, and curbs. · Crews continue working on irrigation and landscaping items near Market and Lehman Streets. Traffic Impacts: There are minor lane restrictions along Constitution Boulevard; however, access is being maintained. Reach Description: Reach 2 is the area along 3100 South from Constitution Boulevard to Decker Lake Drive. The E Center and a few other businesses are located in this reach, as well as residents on either side of 3100 South. Access will be maintained throughout construction as we continue to coordinate with the E Center. When TRAX is completed along 3100 South, it will operate on the south side of the roadway. · Work continues on the TRAX bridge approaches over I-215 on the south side of 3100 South. · Crews are currently distributing rail and ballast on the south side of 3100 South between Maple Way and Decker Lake Drive. · Work on the overhead electric system is taking place near Decker Lake Drive and 3100 South. · Curbs and sidewalks are currently being poured at 3100 South. · Traffic control is in place along 3100 South; however, access is being maintained. Reach Description: Reach 3 is the area along Decker Lake Drive from 3100 South to Research Way (2770 South) and running east to Redwood Road. This area includes many commercial office buildings with thousands of employees. · Track and station work continues in the center of Decker Lake Drive. · Underground utility work continues along Research Way. · We encourage motorists to please obey the posted speed limits. Now that the intersection at 3100 South and Decker Lake Drive is open, crews will temporarily close the northern portion of Decker Lake Drive between Research Way and approximately 2850 South on Monday, April 26. This closure is anticipated to last for five to six weeks and will accelerate TRAX construction by months. Access will be maintained to all businesses in the area. We thank the many businesses for their support and patience during construction. · Utility and road construction on Research Way between Decker Lake Drive and Redwood Road – this portion of road work is currently under construction as crews move utilities. The remainder of this work is scheduled to take place during spring 2010 – access will be maintained. · Redwood Road track crossing – this portion of work is scheduled to take place during spring 2010 – access will be maintained. Traffic Impacts: Currently, there are lane restrictions along Decker Lake Drive and Research Way, but access is being maintained. Reach Description: Reach 4 runs through the Chesterfield residential area along 2770 South and proceeds along the Decker Lake Canal and the Crosstowne Trail. We will work with residents to ensure a safe working environment that provides access to their properties throughout construction. · Significant work has been accomplished in the Chesterfield area. Crews continue to work on the rail and other items in this area. · Crews have begun work on the west side of 1070 West. Crews will form and pour curb, gutter, sidewalk and driveways. After the work is completed on the west side, crews will begin work on the east side of 1070 West. · Crews are working on the overhead wiring system. · Work continues on the Jordan River bridge and the pedestrian and bike tunnel. · Work is also taking place on the overhead electric system in this area. · Progress continues on the TRAX bridge approaches on either side of 600 West. · Crews will begin drainage and continue track work throughout April. Traffic Impacts: Currently there are no traffic impacts on Andy Avenue. Construction on the project is permitted to take place between 7 a.m. to 7 p.m. Monday through Saturday. Additionally, specific activities may require different working hours depending on the conditions and will be coordinated with city officials. Construction progress continues on the Airport TRAX Line. To keep business and traffic impacts to a minimum, this six-mile project has been separated into seven construction “reaches,” or segments, for management and planning purposes. The map below shows each construction reach in a different color, starting with Reach 1 in dark red by the airport and ending with Reach 7 in light green on the east end of the project. Work continues on wet and dry utility work along 3700 West. Various traffic restrictions are in place for internal airport traffic; however, access is being maintained throughout this work. Crews have also begun guideway excavation between the X Bar Bridge and 3700 West. Crews have begun the second phase of construction at the North Surplus Canal. This will include diverting the water, de-watering the culvert, excavating and forming the culvert walls and floors. Work continues on the South Surplus Canal as crews prepare for girder placement the first week of May. Right lane restrictions will be in place; however, access will be maintained. Curb, gutter and sidewalk, and wet and dry utility work continues to make its way west. Beginning the first week of May crews will work on the 2200 West intersection. Work will begin on the east side of North Temple. This work will last approximately one month. As we get closer to construction we will meet with the businesses in this area. Traffic Impacts: There are currently right/left lane restrictions between the I-215 overpass and 2400 West throughout the day. As work progresses, there will be additional lane restrictions for both east and west bound traffic. Access will be maintained at all times. Traffic Impacts: There are currently right/left lane restrictions between the I-215 overpass and Redwood Road throughout the day. As work progresses, there will be additional lane restrictions for both east and west bound traffic. Access will be maintained at all times. There is occasional potholing for dry utilities taking place ahead of actual construction. Heavier construction is anticipated to begin summer 2010. Traffic management will be in place for approximately eight months near the Jordan River Bridge. Traffic will be limited to one lane in each direction. Traffic is now switched to the newly constructed north side of the Jordan River Bridge on North Temple near the State Fairpark. To lessen impacts, crews will not be working in this area during viaduct construction, which began on April 18. Traffic Impacts: Traffic management will be in place for approximately eight months near the Jordan River Bridge. Traffic will be limited to one lane in each direction. Reach Description: Reach 7 is the area where the Airport Line will connect with the current north/south TRAX Line at the Arena Station. This reach extends from I-15 to 400 West along North Temple and turns south on 400 West to South Temple. Access to offices and the Gateway will be maintained throughout the construction project. The North Temple Viaduct re-construction project has begun and will last for approximately 18 months. Crews are now demolishing this structure for the next two months. Please see the viaduct construction guide attached below for detour information. Construction is permitted to take place between 7 a.m. to 7 p.m. Monday through Saturday. Additionally, specific activities may require different working hours, depending upon the conditions and will be coordinated with city officials. West Jordan – Tonight, April 23, begins a series of five weekends of railroad crossing work on Redwood Road at approximately 8020 South. Utah Transit Authority will be completing crossing upgrades and new track installation at the location for the new Mid-Jordan TRAX line. The lane restrictions and closure information for each weekend is given below. The three southbound lanes will be closed between 7600 South and 8600 South beginning at 7 p.m. on Friday. Traffic flow will be maintained in both directions, but all traffic will be shifted to the east side of the road. All lanes will reopen Monday by 5 a.m. The same closure will be in effect beginning at 7 p.m. on Friday and reopening Monday by 5 a.m.
Beginning May 7, the closure will be reversed. The three northbound lanes will be closed between 7600 South and 8600 South beginning at 7 p.m. on Friday. Traffic flow will be maintained in both directions but shifted to the west side of the road. All lanes will reopen Monday by 5 a.m.
Beginning at 8 p.m. on Saturday there will be a full closure of Redwood Road from 8020 South to 8150 South at the railroad crossing for 16 hours while crews install new rail. The closure will end at approximately 12 noon on Sunday. The 10.6-mile Mid-Jordan TRAX line will run from the Murray 6400 South TRAX station southwest through Midvale and West Jordan to the Daybreak development in South Jordan. It is projected to carry more than 9,000 riders per day at opening. Questions from the public regarding this closure should be directed to the Mid-Jordan TRAX construction hotline at (888) 550-2211. More information about the Mid-Jordan TRAX project is available at www.rideuta.com/projects/midjordanlightrail. * Redwood Road between 7800 South and 9000 South will be subject to ongoing lane closures through late May. The Mid-Jordan TRAX line is a 10.6 mile light rail line that will connect the communities of Murray, Midvale, West Jordan and South Jordan with the existing Sandy/Salt Lake TRAX line. It runs from the existing TRAX line at 6400 South to approximately 7400 South, then turns west along the Bingham Branch of the Union Pacific Railroad. At 5600 West, the line turns south again and ends at the southern end of the Daybreak development. For construction purposes, the line has been segmented into five sections. The map below shows each section in a different color, beginning with Daybreak on the southwest end and ending with Cottonwood at the northeast end. Concrete work and landscaping continues in this segment, especially at the 5600 West Park & Ride and station platform. Concrete work on the 4800 West station platform is ongoing, and crews will also be constructing bus turnouts on Old Bingham Highway. * NEW ACTIVITY: Construction of bus turnouts at 4800 West Station. TRAFFIC IMPACT: Lane closures on Old Bingham Highway near 4800 West from Tuesday, April 20 through Friday, April 23, and again from Monday, April 26 through Friday, April 30. Construction of the Redwood Road rail crossing will begin Friday, April 23. A new waterline is being installed at the site of the future Park & Ride across from West Jordan City Hall, and concrete work and asphalt paving will be taking place at the 2700 West station. Sound wall installation at Sugar Factory Road should be complete this week. * NEW ACTIVITY: Construction of the east half of the Redwood Road rail crossing. TRAFFIC IMPACT: From 7 pm Friday, April 23 to 5 am Monday, April 26, all traffic on Redwood Road will be shifted to the west side of the street (the three northbound lanes) between 7600 South and 8600 South. This same closure will also take place from 7 pm Friday, April 30 through 5 am Monday, May 3. ACTIVITY: Sound wall panel delivery and installation on Sugar Factory Road at 2200 West. TRAFFIC IMPACT: 2200 West will be reduced to one lane through Friday, April 30 at the railroad crossing. Flaggers will be present. The Jordan River Parkway Trail is now reopened. Bent cap installation at the bridge was moved to this week due to weather, and next week crews will place the girders. On the 7800 South bridge, crews will be pouring the concrete deck this week. * NEW ACTIVITY: 7800 South bridge deck work. TRAFFIC IMPACT: Lane shifts on 7800 South from Monday, April 26 through Friday, April 30. Track work and excavation adjacent to the Fashion Place Station continue this week. Crews are laying the base to install new track east near Cottonwood Street, where the Mid-Jordan and Sandy/Salt Lake lines will be connected. Work in UTA’s Lovendahl Yard is moving forward with additional storage tracks and OCS. Our desks being at last clear of the beloved IRS instruction booklets, and with last year’s tax forms safely snuggled in their bankers’ boxes, we turn now to how a few of our hard-earned dollars are — refreshingly — wisely to be spent in Ohio. We hear this week from our Bruce Richardson who wrote the following just before (according to the Fort Wayne Journal Gazette), “Democrats on the state Controlling Board voted 4-3 along party lines to approve spending $25 million in federal stimulus money to complete final engineering and design work on” Ohio’s Three Cs corridor this Monday. This is a wise investment, giving planners the opportunity to prove the plan’s worthiness: “Future support from GOP lawmakers on the panel will be crucial. State law requires a supermajority vote for capital improvements on passenger rail development…” reports the Journal Gazette, so lawmakers will have the opportunity to weigh the merits of the complete design before committing to construction. It’s a mad, mad, mad world in Ohio right now for rail fans, who for decades have been agitating for the creation of the Three Cs corridor. The rail fans are “this close” to having the Three Cs corridor recreated, tying Cleveland, Columbus, and Cincinnati together in one passenger train run after the feds opened the treasury and doled out $400 million in free federal stimulus monies to create the route. Currently, Cleveland has dreary nocturnal service in each direction courtesy of the Lake Shore Limited and the Capitol Limited. Cleveland has a metropolitan area population of 2.25 million, yet Amtrak passengers entraining and detraining only total 39,371 for fiscal year 2009. Cincinnati fares even worse, with only three days a week nocturnal service provided by the Cardinal. Cincinnati’s metropolitan area is almost as large as Cleveland, with an area population of 2.15 million souls. Hardly anybody notices the Cardinal in Cincinnati, with only 14,777 FY 2009 passengers entraining and detraining. Columbus isn’t even on Amtrak’s map. The metropolitan area population is 1.77 million, not a small city. The plan is to right this wrong by creating a four round-trips day train between the three cities and Dayton, with some extra stops along the way. Here’s the problem: Ohio’s governor wants to do this, Ohio’s Department of Transportation wants to do this, and the feds want to do this. But, the majority party in the Ohio state senate doesn’t want to do this, and some members of a state commission which ultimately have to sign off on this don’t want to do it, either. The naysayers say thanks very much for the $400 million, but what about the small state matching money and funds for operating the trains? They are afraid Ohio will be in the same position as charity recipients are on that silly ABC Television reality show, Extreme Makeover Home Edition: Some goofy looking guy with bad hair who for whatever reason nobody can figure out has become a celebrity hands you a nice gift, but you can’t afford to keep it up or pay the taxes on it year after year. So, rail fans in Ohio are gritting their teeth, and can taste the new Three Cs corridor it’s so close. All of this comes down to convincing just less than a handful of people of the wonders of intrastate passenger train travel, and the Three Cs will be a reality. The question must be asked: Has anyone educated these recalcitrant public servants about other state success stories? Have they quizzed their next door neighbors in Illinois about how successful those state trains are? 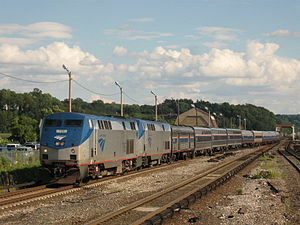 Did they take a look at the country’s most important state, Virginia, and see how in just the first quarter of operations of the new Lynchburg train, the state paid no operating subsidy in the second month to Amtrak because ridership and revenue passenger miles were so successful? Did anyone consult with North Carolina, home to the country’s most enlightened state department of transportation on rail matters about how to run state-subsidized passenger trains successfully so the subsidies remain low or nonexistent? What about California, and its giant, successful state rail program? All of this boils down to education and the proper presentation of facts. Most likely, Ohio politicians are relying on past Amtrak studies, such as last year’s Three Cs report, which predicted low ridership and high expenses, as Amtrak always does to prevent later finger pointing claiming the company was too optimistic. Instead of doing their own homework, they incorrectly relied on the work of someone else. Had they done their own homework they probably would have come up with a completely different set of numbers and been able to make far different decisions. Another point of contention is the alleged speed of the proposed trains. The alleged forces of evil claim the overall speed is too slow for the money being spent. visions of high speed trains dance in their heads. Nobody told these folks about incrementalism, using relatively inexpensive conventional rail such as found in the Three Cs proposal as a building block and later feeder system for high speed rail. The war in Ohio will continue until someone figures out a way to educate these politicians about the realities of passenger rail and the promise passenger rail holds for a balanced transportation system in the future. Until that day comes, Ohio will be a state of highways, not a state of transportation choices. PUBLIC NOTICE is hereby given of the regular meeting of the Board of Trustees of the Utah Transit Authority at 2:30 p.m. on Wednesday, April 28, 2010, in the Meridian A Room at the Davis Conference Center, 1651 North 700 West, Layton, Utah, with the following agenda. Preceding the regular meeting will be a Meet and Greet Luncheon at 12:30 p.m. with Mayors, Commissioners and Legislator within Davis County. 2. Public Comment (10 Minutes). 3. Resolution of the Board of Trustees of the Utah Transit Authority Authorizing Officer Appointments to the Authority. 4. Resolution of the Board of Trustees of the Utah Transit Authority Adopting the Amended Records Access and Management Policy – Corporate Policy 1.1.10. 5. Resolution of the Board of Trustees of the Utah Transit Authority Accepting the Finance and Operations Committee’s Recommendation on 2009 Goal Achievement. -- Orrin T. Colby, Jr.
6. 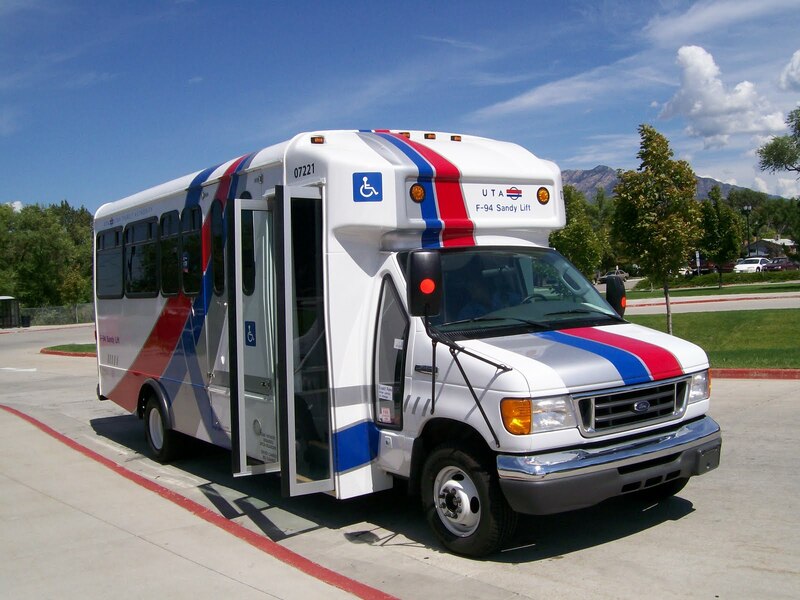 Resolution of the Board of Trustees of the Utah Transit Authority Approving the Amended Charter for the Committee on Accessible Transportation. 7. Resolution of the Board of Trustees of the Utah Transit Authority Authorizing Amendment of the Letter of Credit. a. Strategy Session to Discuss the Purchase, Exchange or Lease of Real Property when Public Discussion would Prevent the Public Body from Completing the Transaction on the Best Possible Terms. b. Strategy Session to Discuss the Character, Professional Competence, or Physical or Mental HHHealth of an Individual. c. Strategy Sessions to Discuss Collective Bargaining. d. Strategy Session to Discuss On-going and/or Potential Litigation. 12. Action Taken Regarding Matters Discussed in Closed Session. a. Approval of Financial Statements of January 31, 2010.
b. Approval of Financial Statements of February 28, 2010.
c. Approval of Minutes of Board Meeting of March 24, 2010. Utah Transit Authority strengthens and connects communities thereby enabling individuals to pursue a fuller life with greater ease and convenience by leading through partnering, planning, and wise investment of physical, economic, and human resources. Below is the FrontRunner South construction update April 17 – 23. Please visit UTA’s FrontRunner South Webpage to learn more about the project. Crews will continue to install temporary shoring for the north abutment of the 3300 South bridge. They will also be installing a water line in the area. There will be a shoulder closure on westbound 3300 South Monday through Friday. On Monday at 4800 South crews will be installing a power pole and at the 5300 South bridge crews will work on the south abutment. At the I-215 westbound bridge crews will install slope paving and restore pipe. They will also be restoring a concrete barrier on the freeway near the bridge on Friday night. At the 7200 South bridge, crews will construct the south abutment wall and on Thursday night they will be pulling temporary shoring. On Monday and Tuesday crews will be placing surcharge on the Wasatch Street bridge. There will be two lane closures on I-215 westbound from Friday at 10:00 p.m. until 12:00 p.m. on Saturday. The lanes affected are the left lane on the I-15 northbound on-ramp from I-215 westbound and the right lane on I-215 westbound. 7200 South will be closed to all traffic between 367 West and 700 West from 10:00 p.m. on Thursday, April 22 through 5:00 a.m. on Friday, April 23. Platform prep will take place at the station site as well as work on the platform footings. Between 9000 South and 9400 South crews will continue installing temporary fencing and begin excavation for a retaining wall. At 9400 South crews will continue relocating a storm drain, relocate a fire hydrant and restore landscaping. At the flyover bridge, work on the north approach walls will continue this week. Also at the flyover, crews will be grouting ducts, forming and pouring concrete for the pier cap ends and also restoring curb and gutter. Clearing and grubbing work and permanent fence installation will take place between 114000 South and 123000 South. At Corner Canyon crews will be backfilling the structure, and at the Bangerter Highway bridge crews will install shoring at the north abutments and one of the piers and work on another of the pier’s footings. Electrical utility work will take place at 10200 South and 14600 South. At 10000 South there will be truck traffic with flaggers Monday through Thursday. Monday through Wednesday on Bangerter Highway the two westbound left lanes will be closed between mileposts 1.8 and 2.0. Monday, Tuesday and Thursday there will be truck traffic with flaggers at 146th South. Crews will be forming and pouring concrete for the platform footings. Crews will be installing fencing on the retaining wall south of the 146th South bridge. They will also be placing surcharge at the bridge and placing sub ballast in the corridor near the bridge. Crews will be cleaning up the sites near the Jordan River bridge and the South Jordan Canal multi plate structure. They will also be finishing the slope near the multi plate structure. Crews will be restoring the landscaping along the west side of Garden Drive and potentially driving more H-pile at the 2300 West bridge. At the 2100 North bridge, crews will be working on the column for pier #4 and installing sheet pile shoring at pier #5. Work on the two retaining walls in Cranberry Farms and the wall at 1500 North will also take place this week. There are no construction activities to report at the station site. Irrigation relocations continue this week northwest of the American Fork Park and Ride Lot, and between 400 North in Vineyard and Geneva Road in Orem, crews will finish sub grade prep, slope and ditch finishes and sub ballast placement. Track way embankment work will take place between Geneva Road and 400 South and south of 400 South crews will be pouring a concrete irrigation ditch. There may be a lane drop on Monday and Tuesday at the site of the American Fork Park and Ride Lot on 200 South. There will be truck traffic with flaggers at 400 North in Vineyard Monday through Thursday. There will be truck traffic with flaggers on Geneva Road in Orem, just north of 400 South, Monday through Thursday. Crews will install irrigation conduits and place dirt for the landscaped areas in the Park and Ride Lot. Work at the soil nail wall near University Parkway in Orem continues this week as does fiber work in the area for signals. Crews will be raising utility pedestals at the 1680 North and Draper Lane crossings in Provo and installing signal pads and houses at 2800 West and 1680 North. At the Provo River bridge, crews will backfill the wing wall, place sub ballast and install barb wire fencing, and, between the Provo River bridge and Center Street, crews will distribute rail and place sub ballast. Crossing upgrades will take place Thursday night through Monday morning at the Draper Lane crossing and will include signal and track work, the installation of concrete medians and signs, and road asphalting and striping. Crews will stabilize the grade between 700 West and 500 West, conduct punch list walks at the 900 West, 700 West, 500 West and Freedom Boulevard crossings, and work on signal duct bank from 500 West to University Avenue. There will be truck traffic with flaggers at 820 North in Provo Monday through Thursday. The crossing at Draper Lane will be closed from 7:00 p.m. on Thursday, April 22 through 5:00 a.m. on Monday, April 26. There will be truck traffic with flagger at 500 West in Provo Monday through Thursday. Electrical conduit work will continue at the station site this week. FrontRunner South project, my contact information is listed below.